A guide to choosing experiences during university and why it’s not always good to do things just to put it on your resume. It’s your first year in University and you want to do everything and nothing all at once. Everyone has told you to join clubs, student groups and “be involved”. I feel you. 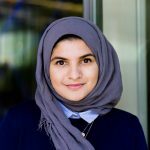 During my first year at Ryerson, I joined two clubs and three student groups, volunteered with two different organizations while taking a full course load and working a part time job – all as a commuter. I know, das cray, but you can’t blame me, I had to build my resume. Everyone and their moms told me that I had to accept any opportunity that came my way so that I can say I have some sort of experience in, well, anything really. Their mom is right, you should be getting involved on campus and you should be working towards building your resume – but there is definitely a limit. 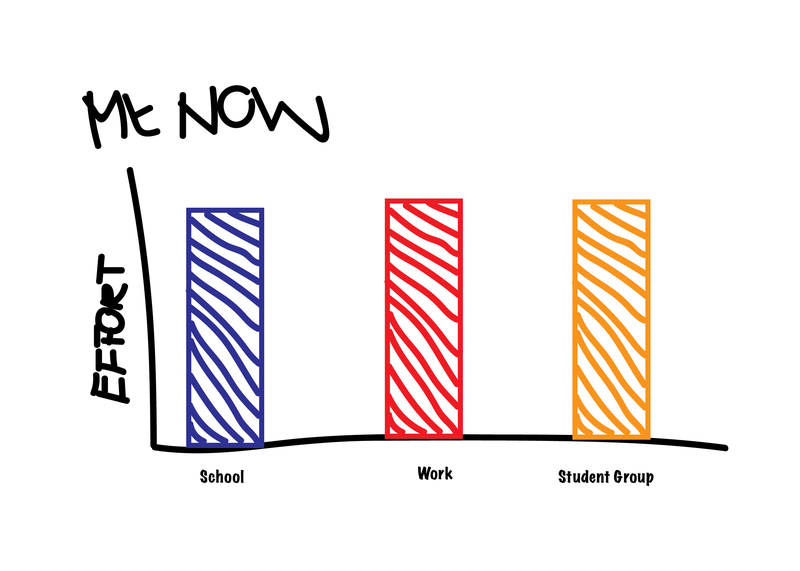 As you can see here, I was doing a lot of things (on the x-axis) but my efforts for each task, or role was very low since I didn’t have the right intentions. I was spreading out my efforts instead of giving it my all. I soon learned that all these things were just making me feel busy, not productive. I wasn’t getting anything truly fulfilling out of it all – so I had to do the painful thing that everyone frowns upon; I had to quit. I had to leave a lot of things behind and prioritize the activities in my life that I know I can be productive in. Now, I am focusing on a few things but putting my entire effort in them. 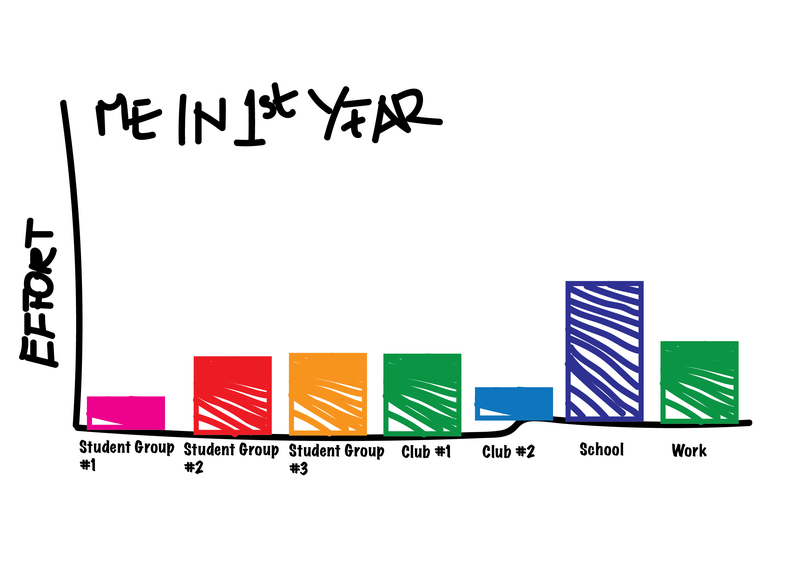 Joining clubs and organizations is an amazing thing to do when in university. You get to meet different people, learn new skills, have the time of your life – but I wouldn’t recommend joining those clubs to “just to do it for the resume”. In fact, don’t “just” do anything. Whatever comes your way, do it with purpose, pure intentions and a willingness to learn as much as possible from your experience and THEN put it on your resume. 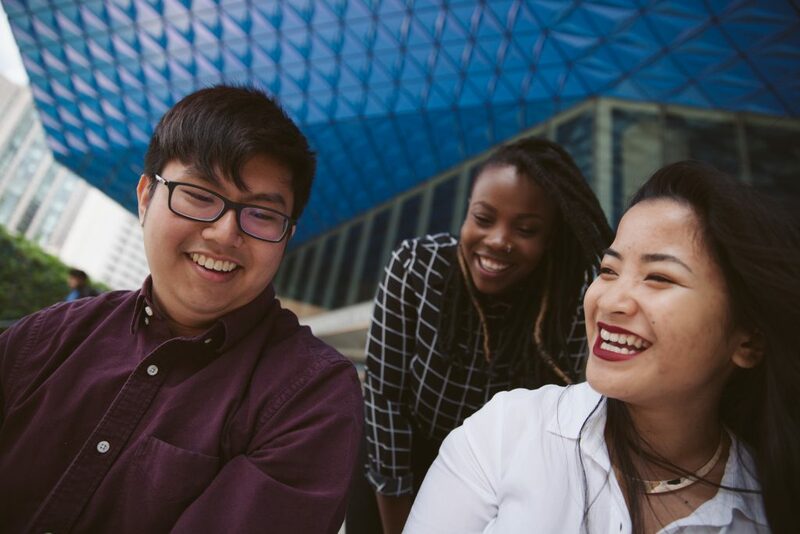 Find opportunities to get involved with a purpose at connectRU.ryerson.ca. Hi friends! I’m a student at the Creative Industries school at FCAD. I love design, entrepreneurship and the occasional York Mint Patty but most of all, I love working with incredibly passionate people.